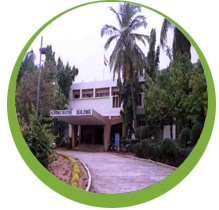 The Department of Zoology was established in the year 1968 as PG Centre under Osmania University,Hyderabad. Later, it was shifted to the existing campus in 1973 as a full-fledged Department, with spacious classrooms, laboratories for students and research labs for faculty members in addition to museum, library and state-of- the-art Conference Hall, Computer Lab with internet facility, all housed in a built area of about 15,000 sft and Laboratory space of about 8,000 sft. Since then it is flourishing into a quality education centre for the students and research scholars in the subject ZOOLOGY. The following is the succession of Heads of the Department, who moulded the Department into present position. The following is the succession of Chairpersons, Board of Studies, since its establishment in 1990.